Doctor shortages around the country affect access to care for millions of Americans. It is estimated, by 2025, there will be a shortage of as many as 35,000 primary care doctors and 60,000 specialists. Special correspondent Cat Wise reports on a nonprofit that is aiming to help the patients most impacted by these shortages by enlisting the help of volunteer doctors. It's part of our weekly look at the Leading Edge of science an, technology and health. Every day, 44-year-old Donna Akers, known to friends as Dallas, makes multiple trips up and down the stairs in her Seattle apartment building, and each step is hard. Akers has a painful arthritic condition in her legs, feet and hands. After spending 14 years in prison, she recently turned her life around, earning a full-ride scholarship to the University of Washington. While her future looks brighter, Akers' health issues remain a daily challenge. I have lupus, and I have psoriatic arthritis, as well as some severe rheumatoid arthritis issues. And with my medical conditions, it's not something that the majority of doctors in a community clinic are well-versed on. She knows that because, since being released, Akers has been getting care at a community clinic, one she really likes. For nearly 50 years, the federally funded Country Doctor Community Clinic in the heart of Seattle has served mostly low-income patients who often have complex care needs. How has everything been going this week? Started school, so I'm way more active. And it's put — I think it's put a little more pressure my joints, because I'm having a little bit more pain. DR. Laura Morgan is Akers' new primary care doctor. Now, remind me, what areas are most painful for you? Like many family physicians caring for underserved patient populations, Dr. Morgan has treated a wide range of ailments. But she and her colleagues, who include nurse practitioners, can only do so much, and getting their patients into specialists is often a big challenge. Most of my patients now either have insurance or have access to insurance, and still they're dealing with difficulties, especially those on Medicaid. Depending on the specialty, there are often long wait times or limited options, oftentimes resulting in patients having to travel pretty far from their home to get the care they need. For Akers, who has Medicaid, the wait is four months to see a rheumatologist. But now Dr. Morgan has a new tool in her medical bag that's making it easier to help patients who need specialty care. Hi, Dr. Morgan. May I call you Laura? Dr. Katherine Upchurch is a rheumatologist who happens to live 3,000 miles away in Concord, Massachusetts. The two were brought together by a nonprofit called The MAVEN Project, which connects volunteer doctors with health providers in underserved communities around the country via telehealth, videoconferencing and phone calls. Tell me about how her feet looked. Their 30-minute scheduled consults give Dr. Morgan plenty of time to get advice from Dr. Upchurch. I would check rheumatoid factor. And I would also check a test called an anti-CCP, or cyclic citrullinated protein. And that's kind of hard to order in the electronic systems. But, if you look hard enough, you will find it. Dr. Upchurch is one of about 100 doctors giving their time and expertise for free to 40 clinics through The MAVEN Project. MAVEN stands for Medical Alumni Volunteer Expert Network. Started four years ago, the philanthropic and grant-funded organization is small, but uses its ties to many of the big medical school alumni associations to recruit doctors, most of whom are retired and semi-retired. I wanted to talk to you partly because I wanted to establish a MAVEN relationship with a gastroenterologist, a G.I. expert. In addition to consults, MAVEN Project doctors, who are carefully vetted, provide educational Sessions and one-on-one mentoring. Using the doctor-on-demand app, you can access a physician within minutes. Telehealth is widely used by for-profit and nonprofit health providers these days, but The MAVEN Project is unique, in its focus on the country's most vulnerable patients and its use of volunteers, like Dr. Upchurch, who's been practicing medicine for more than 40 years. She's a professor at the University of Massachusetts Medical School. She's currently on medical leave and spends about four hours a month on MAVEN consults. You have a growing cohort of well-trained, aging rheumatologists and other specialists and primary care physicians who have been in the trenches, with all the toil and sweat and blood that goes along with that, enjoying their careers, but not wanting to do that forever, and wanting to continue to use their skills, but at the same time wanting to smell some roses. Dr. Upchurch is one of many doctors around the country who are at the end of a long career in medicine. In fact, about 40 percent of physicians our age 55 or older. We think of ourselves as Match.com meets the Peace Corps. 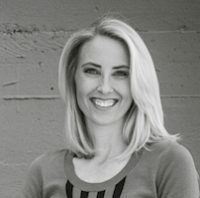 Dr. Laurie Green is the founder of The MAVEN Project. By day, she's a busy OB-GYN in San Francisco. But every minute she can spare, she's involved in all things MAVEN. Green came up with the idea in 2012, when she was president of the Harvard Medical School Alumni Association. A group of medical school alumni presidents started recognizing that, when the Affordable Care Act was implemented, millions of people would suddenly have insurance coverage and very little access to the type of specialty care they would need to treat their illnesses. And at the same time, we recognize that so many of our colleagues were retiring. I heard repeatedly how doctors felt so wistful when they were leaving practice. Then we had one other element that would never have existed 10 years ago. We had technology. After 30 years of treating cardiology patients in California's Bay Area, Dr. Bob Cooper recently traded his medical instruments for gardening tools. He now consults with a free clinic in Miami, Florida. Can you rotate the EKG? So there's atrial fibrillation as well. Yes, absolutely. The clinic is staffed by volunteer physicians, including Dr. Zafar Qureshi (ph), who recently reached out about a patient who has severe heart disease, but no health insurance. The underserved populations have higher incidences of many, many cardiac problems because of lack of care. The cholesterol medicines tend to be expensive. And so they want answers that, within what the patient can afford, what would you suggest next, because maybe they can't use the most expensive drug. Back in Seattle, Dr. Morgan says the advice she's getting from MAVEN Project doctors is one of many ways she's trying to provide care for her patients. We are always using this information just as a piece of our own clinical judgment. Well, I really appreciate your help. The MAVEN Project is currently partnering with clinics in six states, but they hope to be in all 50 by 2023. For the "PBS NewsHour," I'm Cat Wise in Seattle.